You are welcome to host your ceremony anywhere on our campus that you like, but here is a list of some of our most popular ceremony locations. 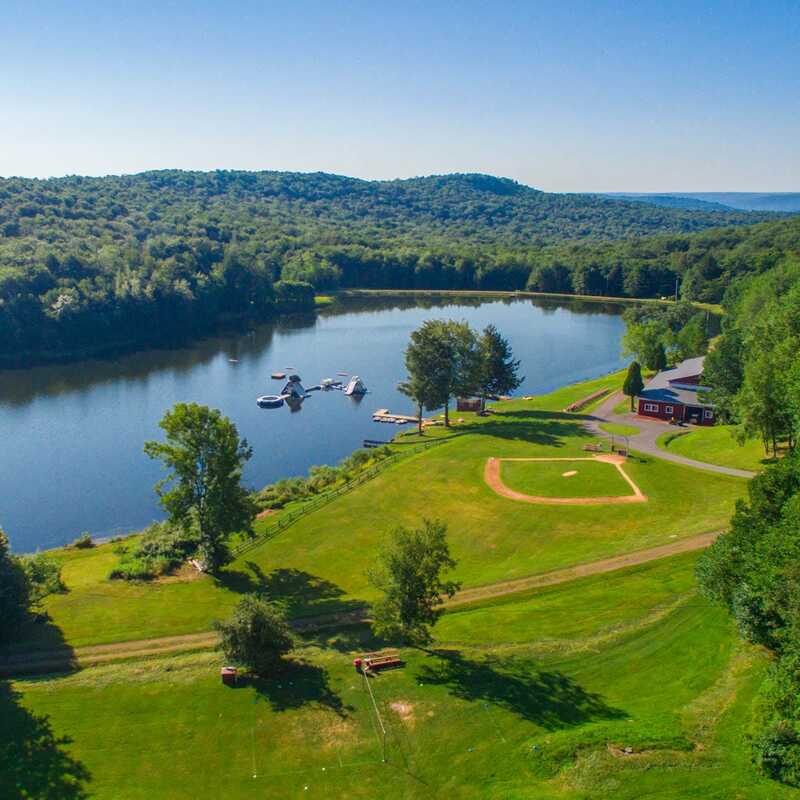 Exchange your vows on the banks of our sparkling lake. The Lakeside Lawn is an intimate ceremony setting with an unbeatable backdrop. Beside the beautiful barn, lies a spacious, lush, green lawn, ideal for any wedding ceremony. 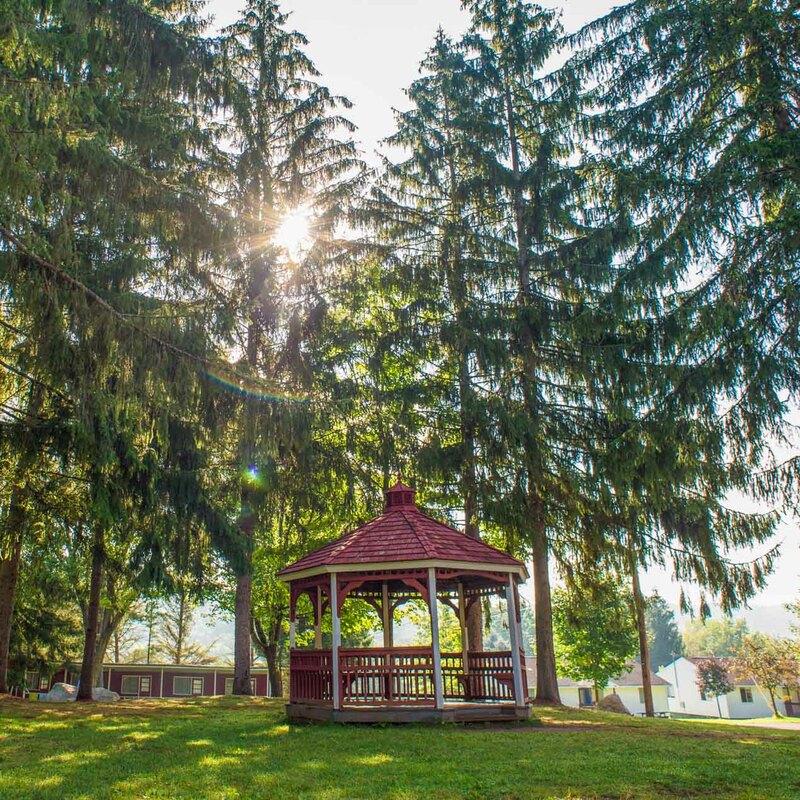 Guests will look on as you get married in front of our central gazebo. Surrounded by trees, this ideal location provides shade to you and your guests. Best of all, this ceremony space is the shortest distance from all of our guest accommodations and reception and cocktail areas. 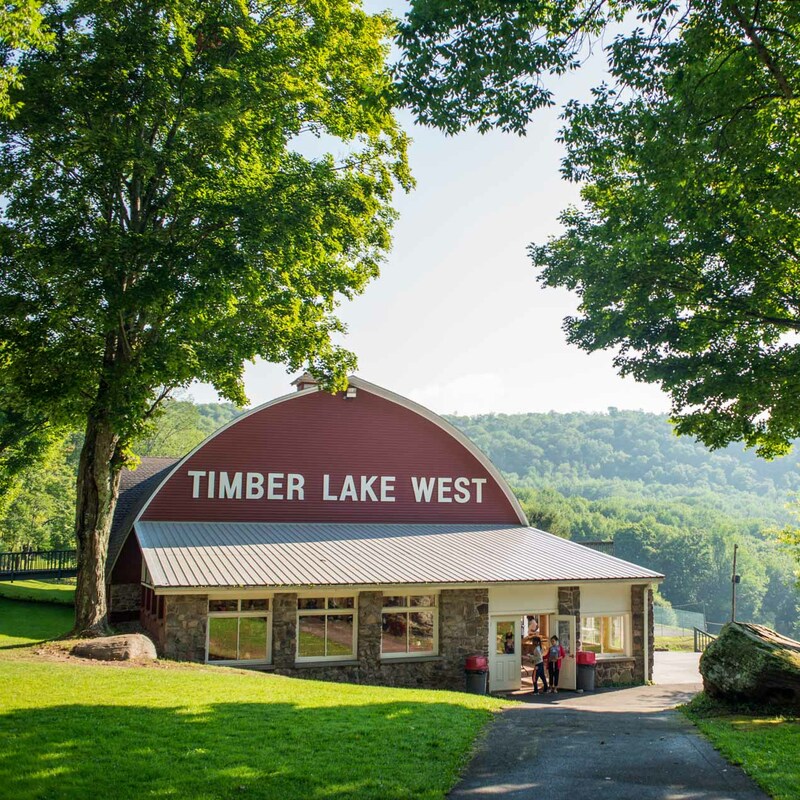 The indoor facility at Timber Lake West is our beautiful arched-beams ceiling social hall that sits, above our Campus Dining Hall with gorgeous views of the mountains and our lake. This large space is highlighted by a deck and oversized windows that look over our lake. It is a beautiful indoor reception or ceremony space that can be arranged in many different ways and can seat up to 300 guests.